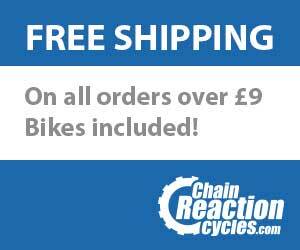 UKC Forums - Cheap Cam for Bike: Any Recommendations? / Cheap Cam for Bike: Any Recommendations? Just had the scariest close pass I've experienced to date. Big tractor overtook me on a country road (I was probably doing around 25-30mph at the time) giving me no more than 18" between his wheels and the verge and causing vicious bar wobble/shimmy. He then stopped in front of of me a hundred or so metres further on and gave me a lecture about the way I was riding and telling me that I should pull over to let vehicles which can only just go faster (his words) pass. I wasn't really composed enough at the time to mount a credible response and, in retrospect, perhaps having some recorded footage of my near demise would have helped. I think rule 163 of the highway code covers it (and I always apply it myself when riding if passing pedestrians or horses). Anyway, what I'm after is something that can record video in sufficient quality to deter those who believe that they don't need to pay heed to other road users from behaving as they do. I'm guessing that had I pointed out to the aggressor today that his actions and words were being recorded he might have been a bit more conciliatory (and more importantly given him pause for thought before attempting something as reckless in the future). Oops, just noticed a similar enquiry was made very recently. Apologies for the duplication: I will take a look at the camera recommended in that thread. Pulled over to give you a lecture ?!??!!?? What a tool, can’t have been that much of an emergency that he needed to get past then ! Sounds like you were a lot more polite than I would have been, well done for that ! I was too shocked to say much except that he'd almost effing killed me. He told me that he was a cyclist and it was people like me that gave cycling a bad name! Then he told me I was 'joyriding' while he was putting food in my mouth. Entitled w*nker! Oh, and he didn't pull over, he stopped in the middle of the road in front of me to lecture me. I'd be reporting him to the police it it were me. I take umbrage at people trying to kill me. I didn't have the presence of mind to get his numberplate unfortunately. I don't think a camera would have helped, it certainly wouldn't have saved your life had he been 6 inches further left. I find it is best to assume that everyone else on the road is an idiot, and direct them appropriately. If I don't want them to pass me at that point I stick myself in the middle of the lane, stick my arm out to wave them back and turn my head round to make eye contact if possible. When it's safe to pass I wave them past enthusiastically. I have had too many close calls when the overtaking driver has to decide between a head on collision and squeezing me into the ditch - they have generally chosen the later! The worst close pass I ever had was from a tractor and trailer. If the Cnut driving that had stopped I would’ve lamped him. I was quite tempted to go and get my car and park it over the entrance to his field. I'm guessing that had I pointed out to the aggressor today that his actions and words were being recorded he might have been a bit more conciliatory (and more importantly given him pause for thought before attempting something as reckless in the future). In all those viral clips of cyclists confronting drivers, shouting "and I've got all this on camera" never gives the driver pause for thought. I think you'd get more satisfaction from building a device that squirts paint stripper while sounding a massive airborne onto cars that get too close. > If I don't want them to pass me at that point I stick myself in the middle of the lane, stick my arm out to wave them back and turn my head round to make eye contact if possible. When it's safe to pass I wave them past enthusiastically. Not always that easy to do. If I'm tired, then it's hard to keep track of what's happening behind me, until it's too late and the driver is already barging their way through. Also if a driver barely eases off the gas upon approaching, there's just not time to reposition yourself before their bonnet is already next to you. I have a handlebar camera - think I posted on the other thread, but it's a Veho Muvi K2 NPNG. Haven't got round to getting a rear-facing camera. Thanks for the recommendation. BT are selling them for 80 quid at the moment. I intend to order one today. Yesterday's incident really put the wind up me (stuff like this doesn't usually affect me) and the more I think about it the more I realise how dangerous the actions of the tractor driver were. If I had video evidence he would definitely be getting reported. He shouldn't be allowed anywhere near a public road in any kind of motorised vehicle. I cycle the country roads around here on an almost daily basis and I'm not looking forward to bumping (!) into him again in future. Perhaps the cam will restore some confidence. I don't have a camera but after one particularly bad pass on a narrow country lane I took the number and reported the driver to the police, their employer and the local council (was driving a school coach believe it or not). I knew at the time that nothing would be done as it was one persons word against another but if that person is a repeat offender and they get repeatedly reported then something might get done one day. I think it's worth reporting if you can get the number (which is easier said than done) even if you know nothing will be done. It's a difficult one to deal with I think. Some people go on about what they'd do to the driver but it's not worth the effort. Personally it ruins my karma if I let it upset me and I don't like confrontation. Unfortunately close passes are an occupational hazard if you cycle, which is sad. And confrontation doesn't help. I think you dealt with it fine. It's easy to think about what you should have said or done after the event but no amount of debate would change the mind of someone like that. I think, if it's bad enough just get the number and report them. I don't like the idea of having to mess about with a camera but then I live in a low population area so the number of bad passes are minimal. If I lived in a city I might think differently. On a positive note, thank people who do good passes (there are some!). They might only be doing what they should be doing but it might make them more likely to do it again to another cyclist (which might be you again) and it makes you feel good. Good luck in the future. Stay calm and stay safe. > Thanks for the recommendation. BT are selling them for 80 quid at the moment. I intend to order one today. Good spot - price includes a spare battery and some stuff I have no use for. £90 including a card. I have a Cycliq6 rear view camera which recently had a mishap - all 4 quadrants of the quarter-turn mount sheared off on the camera, whereas the bike rack mount was unharmed. Seemed a bit the wrong way round to me- the £10 mount should let go before the camera. Unusually for me, I still had the receipt buried in the parts box in the garage. It still had 10 days' warranty left and, even better, Cycliq have agreed to replace it even though damage is excluded. I will shortly have more cameras than the BBC. It's good to remain positive and coincidentally I have noticed that I've been giving a wave to those who do good passes more often since I experienced the tractor incident. I also live in a low population area with quiet roads and because of this I have a feeling that I will probably come across this particular individual again and that is partly why I've decided to equip myself with a camera. Good luck and safe riding to you too!